Just about everything you eat has a story to tell. Everything originated from somewhere, was inspired by something, or in some cases – was created accidentally. Japanese food usually has a story that dates back for centuries, sometimes older than the history of Japan itself! 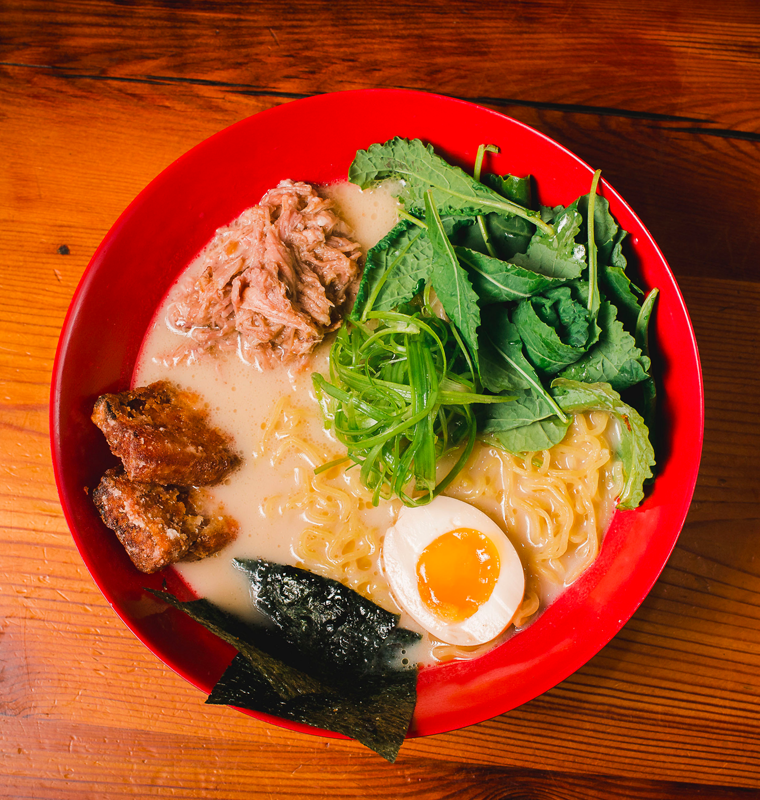 Allow Ejii Ramen to give you a history lesson on one of our delicious appetizers: gyozas. Gyozas are made of a thin sheet of wheat flour with a finely textured filling made of vegetables or meat that can be boiled, steamed, or fried. Their origin stems from China with the invention of Jiaozi. In fact, gyoza is the Japanese pronunciation of jiaozi! There are a few theories of where the name “jiaozi” originated. One of the most popular theories is that jiaozi was named because of its unique horn shape since the Chinese word for “horn” is jiao. Jiaozi are rumored to be invented by a Zhang Zhongjing, a practitioner of Chinese medicine to treat frostbitten ears. He would boil lamb meat, peppers, and medicines in a pot and then wrap the filling in small dough wrappers. He then used them to warm poor people’s ears who did not have sufficient clothing or food in the winter. Overtime, Zhang Zhongjing’s recipe was adapted and imitated by the people of China. Japanese soldiers became familiar with jiaozi during World War II when they were quartered in China. When the soldiers returned home to Japan they wanted to recreate jiaozi and thus the gyoza was born. Today, gyoza is found as an appetizer in many Japanese restaurants all over the world and constantly keeps changing to make different variations. 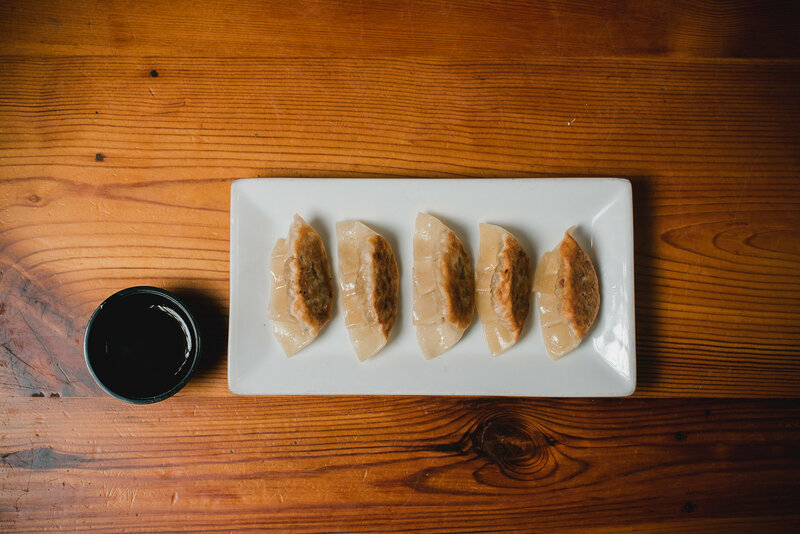 At Ejji Ramen, we serve a vegetable gyoza, which is two bites full of rich history and rich flavor. Our savory-sweet pan-friend dumplings are full of shiitake mushrooms, crunchy jicama and cabbage. So come try one of most popular appetizers and taste a piece of history!